Super Savings Item! 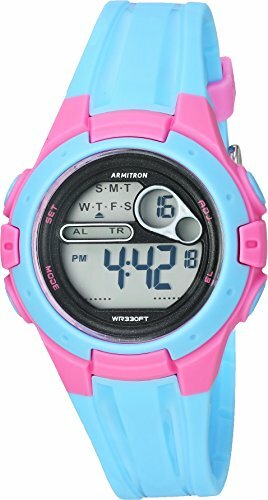 Save 39% on the Armitron Sport Women's 45/7079LBL Pink Accented Digital Chronograph Light Blue Resin Strap Watch by Armitron Sport at Watches Sales. MPN: 45/7079LBL. Hurry! Limited time offer. Offer valid only while supplies last.